Die casting is a metal casting process that is characterized by forcing molten metal under high pressure into a mold cavity. The mold cavity is created using two hardened tool steel dies which have been machined into shape and work similarly to an injection mold during the process. Most die castings are made from non-ferrous metals, specifically zinc, copper, aluminium, magnesium, lead, pewter and tin-based alloys. Depending on the type of metal being cast, a hot- or cold-chamber machine is used. 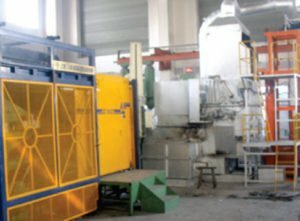 We are specializes in all kinds of die castings parts and processing of goods.Our processing machinery and equipment are advanced, complete, with strong production capacity, and are equipped with 1600T,800T, 700T,550T,500T,350T,280T,250T,150T die-casting machines with vacuum casting technology. 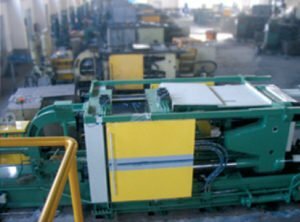 Follow-processing machinery includes imported CNC computer lathes, processing centers, sand blasting machine, putmotor, milling, drilling and so on. 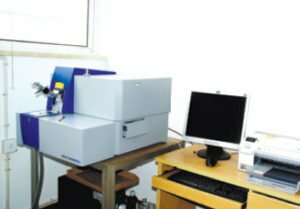 At the same time for product quality comtrol and asurance,The company has Spectro,3D coordinate,Projector and so on,such as testing equipment and instrumentation, which can meet different requirements and the production of different types of products. Our company has won the affirmation of many famous international companies with its quality products, efficient services,reasonable price and timely delivery. To ensure the efficient functioning of enterprises and to meet the needs of customers.our company passed the ISO9002 quality management system certification many years ago, completed in 2002 ISO9002 quality management system certification,completed in 2002 ISO9001:2000 Quality Management System certification for version.And then with its comtinuous development and improvement,it got the completion of ISO9001:2008 Quality Management System for the version in 2008. 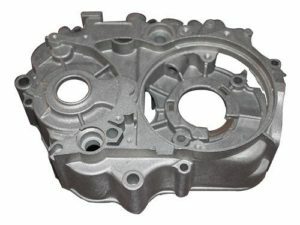 Service Sand casting, Gravity casting, high pressure die castings,low pressure die castings and CNC Machining. Finished Polishing, sand blasting, heat treatment, painting, powder coating, anodizing,electroplating, Chrome plating, mirror polishing.